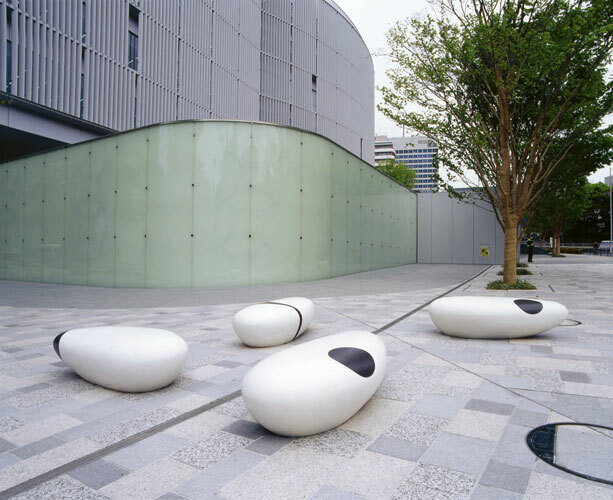 In Roppingi, there are several large museums you can visit such as The National Art Center, Tokyo, The Mori Art Museum and the Suntory Museum of Art as well as smaller galleries. You may also come across art work and pieces in various establishments and facilities around Roppongi. 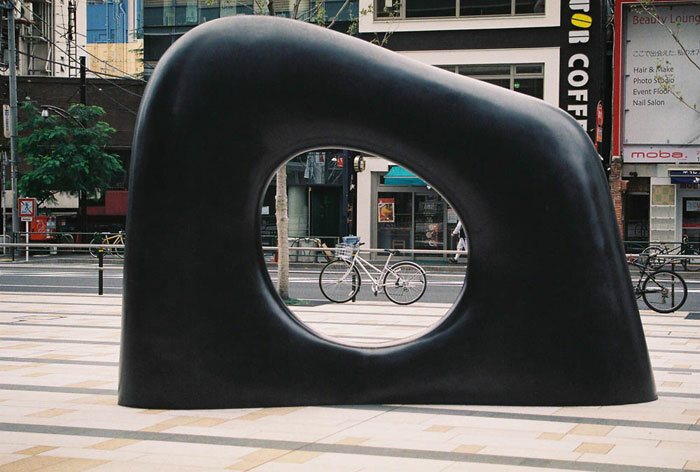 Also, if you take a look just outside Roppongi Hills or Tokyo Midtown, or if you walk around the streets of Roppongi or go into the parks, you can find pieces of art or design objects (public art) all around. Be sure to take the time to go and experience the wonderful works of art. 15 . Where did this big stone come from? Where does this river flow into? *Images can be enlarged by clicking on the photo. 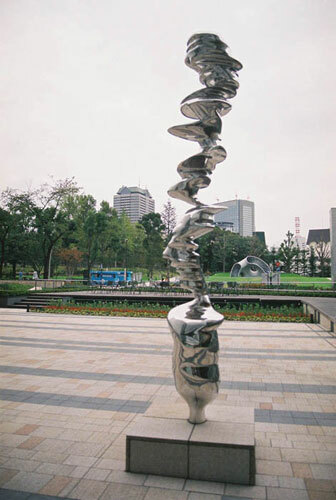 This work of art was created in 1954 after Roppongi organized the cleaning up and clearing away of damages from the war and finished the first stages of the construction of its road expansion. 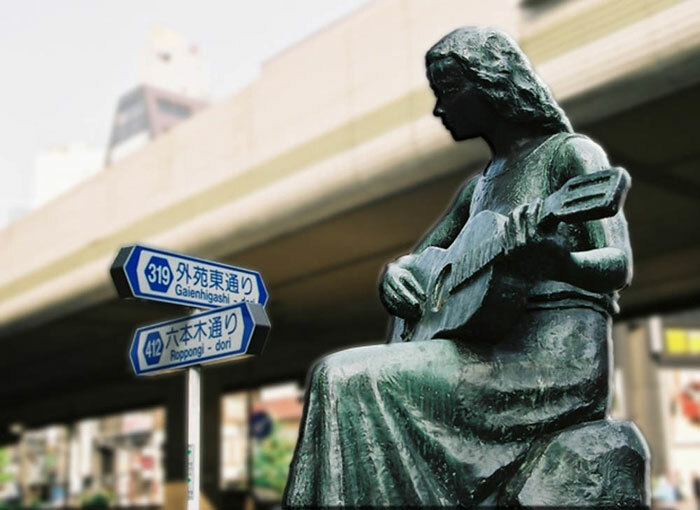 The little girl playing the guitar symbolizes the commemoration of Roppongi's post war reconstruction and hope for the future. It is the perfect piece of art that continues to protect the area even now. 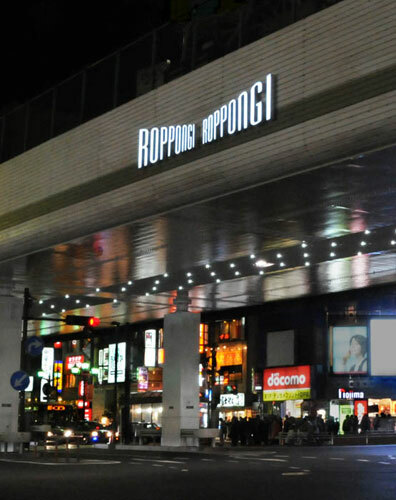 This Logo was created to represent the new image of Roppongi, "The Town of Art and Design", and it can be found on the side of the freeway. 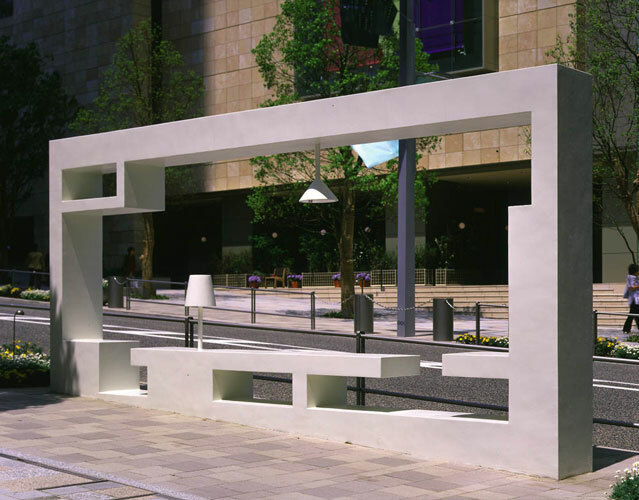 To match the "Roppongi Light Stream", the color is white but even with its gentle image, it expresses the future of versatility and growth and expresses a sense of depth. Roppongi Shopping Street Association wanted to try and do something about the dark image under the freeway and somehow integrate it into the rest of the town. By utilizing the shape of the pre-exiting freeway, an original design illumination was installed under the freeway. 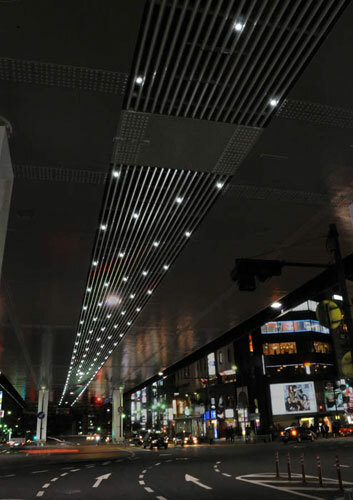 "Roppongi Light Stream" uses white LED lights to give an image of a stream of twinkling stars. 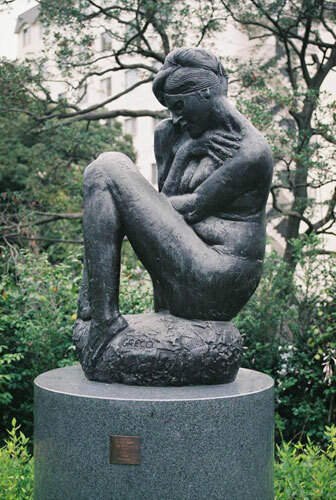 This grand statue is of a woman wrapping her arms around something important to her and tenderly holding it close to her heart. Her graceful pose is both witty and amusing. The artist maintains modern yet classical principles and has shown his true worth. The subject of this art piece is "Nereide" a sea nymph from Greek mythology, ancient art and a universal theme that been used over and over again. Surrounded by nature and by no means a flattering piece, this sculpture exists equally with mutual resonance. Try standing quietly in the park and move your eyes from side to side. 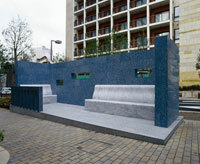 The sculpture will give you a feeling of comfortable, harmony and order, it will be etched in your mind forever. 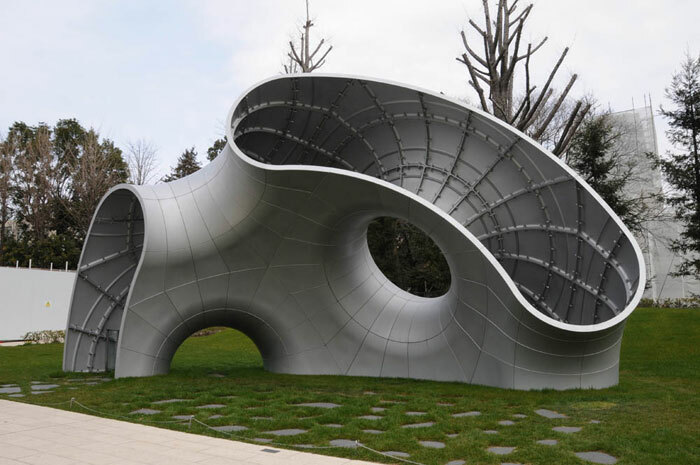 This sculpture symbolizes nature and the time that flows there. By enjoying that flow of time personally, you can appreciate and enjoy this work of art. 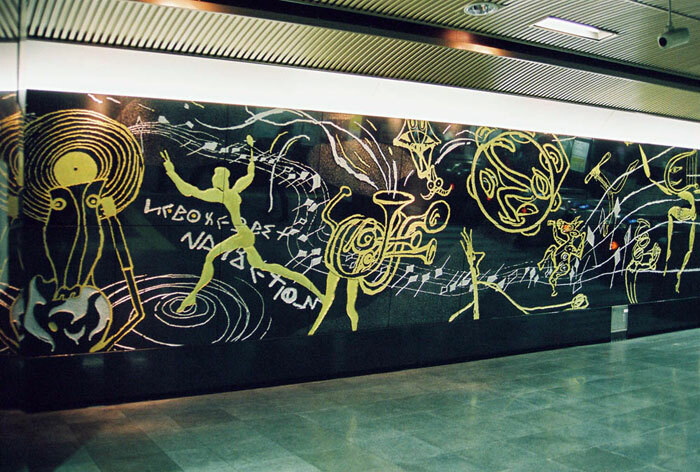 This piece of art can be found inside the Oedo subway line station and expresses the pulsation of Roppongi, the people's enthusiasm and feeling of exaltation. It is an image of many people crossing borders and getting together in Roppongi with a "universal language" where no words or explanations are needed. This image has been captured on this wall mural. Near the black granite base, spotlights have been arranged with a system that lights up only the sections the sensor detects movement. 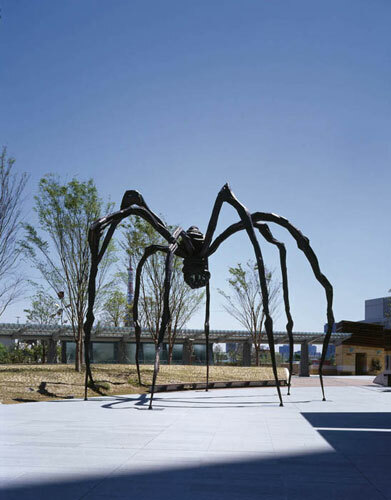 Louise Bourgeois is a French artist that likes to keep to herself. 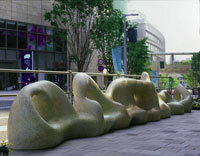 Maman is a bronze sculpture with a sac containing 20 shiny white marble eggs. 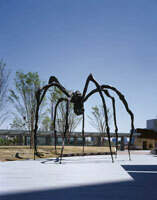 This sculpture, a spider, expresses the artist's feeling of longing for her mother. It is located at 66 Plaza which is also the main entrance of Roppongi Hills. 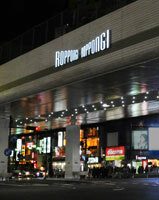 People from around the world come to Roppongi to get together, meet people, and nurture new values and wisdom. It is like the mother spider who nurtures and carefully keep her eggs warm until they hatch and spread out. As a symbol of this town, you get an overwhelming feeling of existence and gentleness from this piece of art. 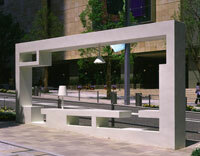 Isa Genzken, a contemporary artist from Berlin, known for her use of wood, glass and concrete blocks, combined Minimalism and Constructivism to create this public sculpture on the theme of the relationship between the surrounding space and the environment. 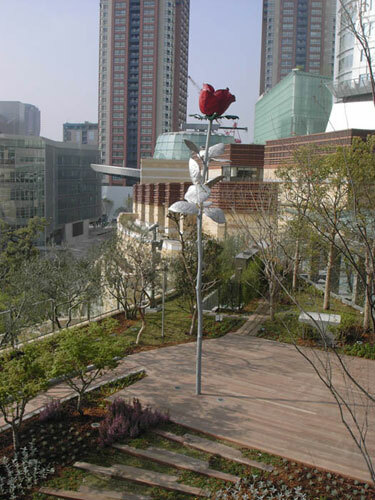 This sculpture, a single deep red long-stemmed rose that rises from the ground is very unique for Genzken. It symbolizes Roppongi's love and beauty and stands tall and dignified in the 66 Plaza Rose Garden. Martin Puryear, after being awarded the Grand Prize at the 10th Sao Paulo Bienial in Brazil in 1989, became known as one of America's greatest sculptors. 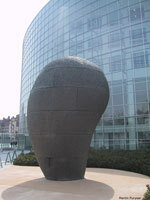 This Guardian Stone sits opposite the Asahi TV atrium and it is there as if to welcome everyone who comes to visit. 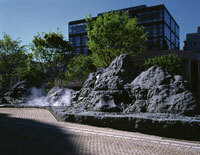 Blocks of stone were cut and brought over from China and completed by Japanese stonemasons. After the pieces of stone were precisely complied, the shape of the sculpture showed diverse expressions created depending on the changes in the light and shadows. 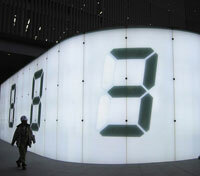 Tatsuo Miyajima announced his first art piece in 1988, the LED digital counter, and since then, he has been active worldwide. In end of the Asahi TV building, the corner of the intersection, there is a large translucent screen(hight : 5m, length : 50m) that projects 6 digital numbers. Each number counts down from nine to one at varying speeds in Roppongi's bustling city and calls to mind peoples' imagination. Choi Jeong Hwa, an artist who has been attracting a great deal of attention in Korea, used ordinary everyday objects to create this colorful, pop art works. 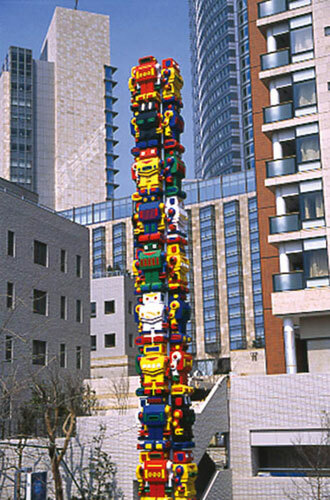 In Sakurazaka park, there are 10 colorful slides all in a row and little robots appear here and there. These robots are like blik (tin) toys with a retro appearance, created not only to show love for children but for the adults who remember their childhood. Cai Guo-Qiang, an artist who has participated in several international exhibitions, is known for his big scale projects, utilizing traditional Chinese folklore and materials such as gun powder, feng shui and Chinese medicine. This artwork can be found in front of the Grand Hyatt Tokyo and reminds you of a Japanese dry landscape garden or a 3D "suibokuga" ink painting of a picturesque stone mountain and seascape. This three dimensional sculpture touches on the strength of the stone mountain and the sound of running water, a grand and spiritual artwork that communicates the nature of people and space. 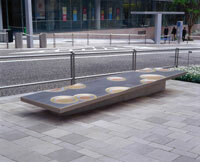 The design concept is the bench itself. It aims to balance with the environment without encouraging curiosity. His original idea was beauty and durability and he was planning to use bamboo laminated wood but decided to use the Japanese conifer wood that oxidizes with time and go through changes beautifully. Along the river, there were many big round rocks scattered about. I can still remember sitting on those rocks when I was a boy and gazing at the flowing river. 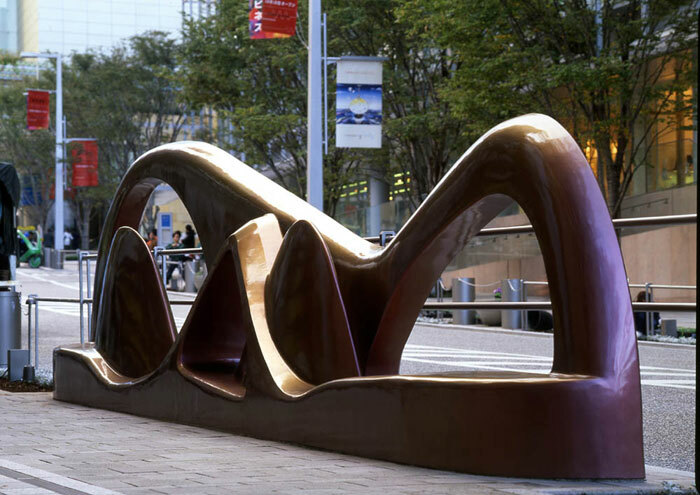 A bench with the title of a famous Jazz song was designed with the idea of making things that existed seem weightless. This public art was made with the wish to completely liberate ourselves from everything that disrupted our cultural harmony as well as set us free from 20th century social standards, thoughts, sensations, and sense of values etc. that stole genuine love from us. 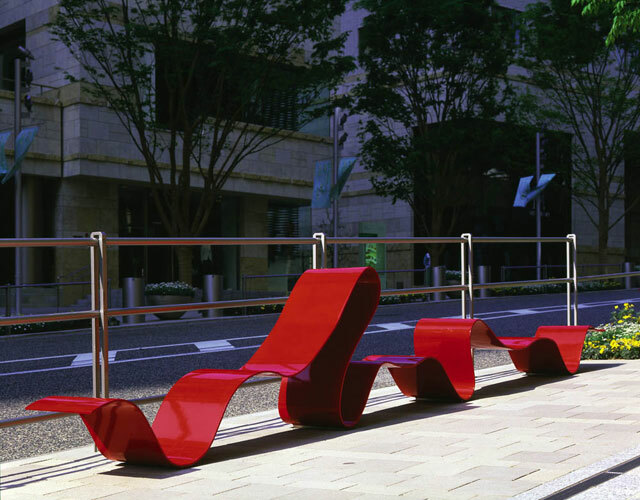 This bench was installed between the sidewalk and the road and between the boundaries of design and architecture, It is out in the open but at the same time in a private space. 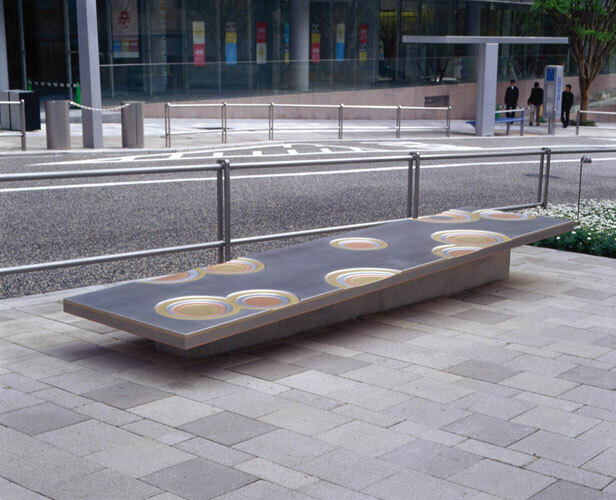 In an urban forest, a large surface of water comes to mind with ripples spreading out on top and this is the image of this public artwork. What happens when people get together to see this surface of water, is like the ripples that spread. The interaction between people is what makes the place. To achieve a contrast from the angular simplicity of Metropolitan Tokyo, "sKape" was designed to be an extension of the landscape. On an island of flowing colors, it shines at night like a piece of nature in a man-made scenery and expresses the contrast between land and sea, density and space, and quantity and infinity. 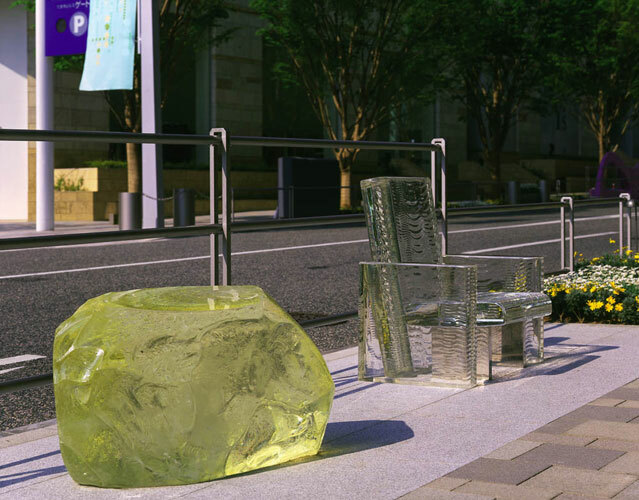 The entire chair was made from a huge block of glass using special technology. On a rainy day, it looks like the chair is disappearing completely, like when you put a piece of glass into water. The design concept is a "chair disappearing in the rain". The basic idea was to create a private space for those who prefer to be isolated from the comings and goings of people and cars in the big city. 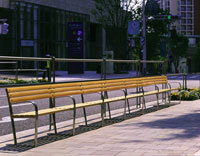 With that goal in mind, the two big benches are positioned so that people can only enter from the sidewalk. It is blocked off from the road. My entire design concept is based on the memories of a trip I took to the Stockholm Archipelago. 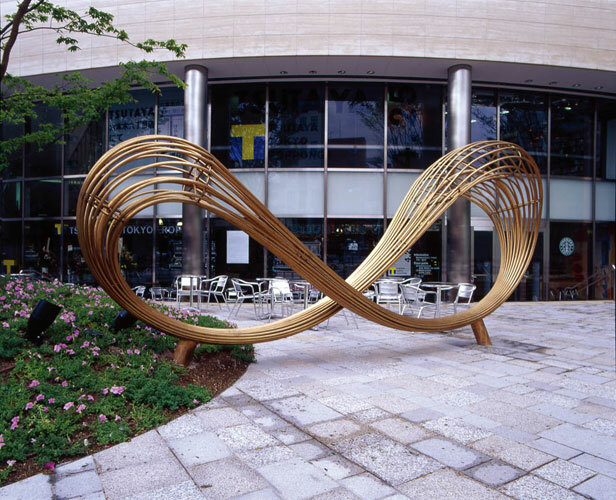 While changing from one form to another without a break, this piece unconsciously takes the shape of an infinity sign. The infinite loops that make up this artwork are gradually spaced and the ivy that grows up from the ground goes through the spaces and entangles itself around the artwork and takes form. Marble is a part of this earth and was created several millions of years ago. It was used to make "ISHINKI", an artwork that is once again underground. Touch "ISHINKI" and feel the earth. Climb into the hole and listen to the voices of ancient times. Encounter the gentle earth that embraces you. "MYOMU" means, "like a dream". The circle in the middle has the power to envelop people's thoughts and dreams. Try sitting in the circle. A different view will appear before you. 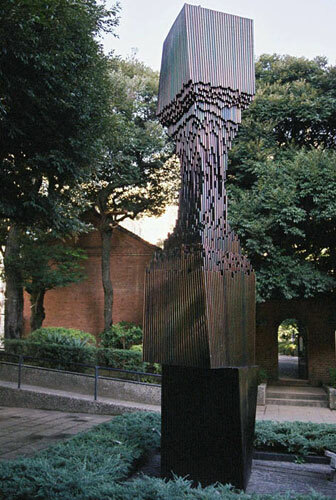 The two sculptures, "MYOMU" and "ISHINKI", resonate off each other tying you to Heaven and Earth. This artwork is inspired by a moon pavilion. It is made out of 210 pieces of aluminum. This large, solid artwork is just like a cave, or like an unusual chasm that might suddenly appear in the middle of Tokyo. If you stare at it long enough, it might just swallow you up. 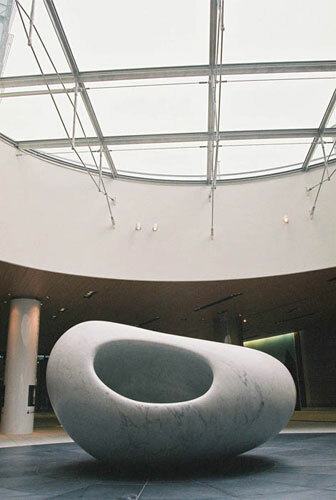 The base for this artwork is geometry made up of oval shapes and their cross-sections. If you look carefully you can see the side view of people's faces hidden in the work. How many faces are hidden in there? Try looking for them from all different angles. This artwork, titled "BLOOM" releases the power of imagination and symbolizes the openness of the prairies. 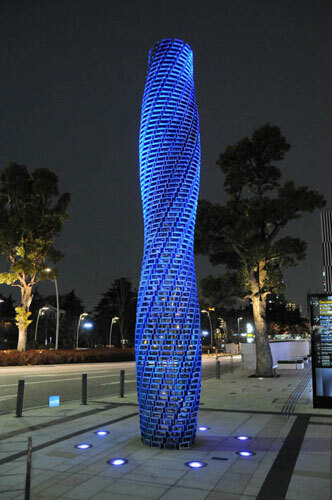 Transparent and weightless, it is a beautiful tower with motion. Experience something different from everyday life and take a split second to think of something nostalgic. 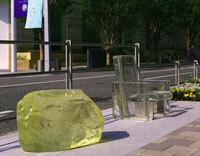 This public artwork has also become a landmark between the National Art Center and Midtown. To keep up with Roppongi's energy, uniquely designed moldings with a sense of volume as opposed to flat objects, are utilized and express images of synchronization. 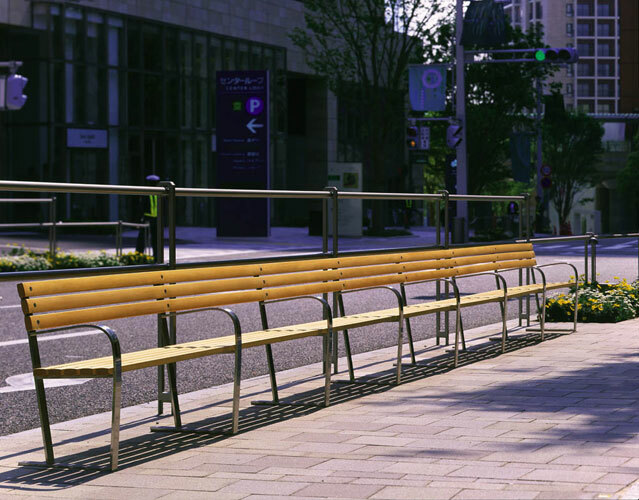 We hope that Roppongi crossing is not just a point of transit but also a place to go up close and admire the flowers or just sit on a bench for a while and relax. 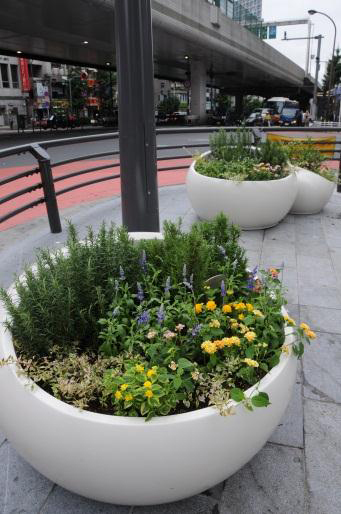 Far in the distance, the flower pots themselves act as street furniture aiming to create a unique space.